A Performance Bond guarantees the owner that the principal will complete the contract according to its terms including price and time. The owner is the obligee of a performance bond, and may sue the principal and the surety on the bond. If the principal defaults, or is terminated for default by the owner, the owner may call upon the surety to complete the contract. Many Performance Bonds give the surety three choices: completing the contract itself through a completion contractor (taking up the contract); selecting a new contractor to contract directly with the owner; or allowing the owner to complete the work with the surety paying the costs. The penal sum of the performance bond usually is the amount of the prime construction contract, and often is increased when change orders are issued. The penal sum in the bond usually is the upward limit of liability on a performance bond. However, if the surety chooses to complete the work itself through a completing contractor to take up the contract then the penal sum in the bond may not be the limit of its liability. The surety may take the same risk as a contractor in performing the contract. 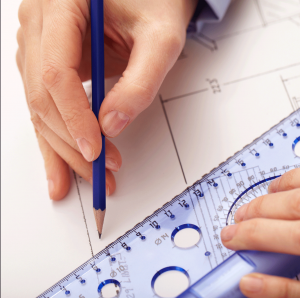 What project specific information is needed for a Performance Bond? In addition to completing our Bid/Performance & Payment Bond Request form, we also need a copy of the award letter, complete contract documents, any obligee required Performance Bond forms, and bid results/tabulation if available. Premium rates are based on a percentage of the total contract amount and are inclusive of the cost of a Payment Bond as well (the two are typically issued in conjunction). Sureties will offer lower rates to companies with strong balance sheets, positive history & track record, and the nature of the overall perceived risk. Some sureties charge flat rates, but most premium rates are based on a sliding scale where the average blended rate gets lower the larger the contract sum. For contracts that have durations beyond 12 or 24 months, the sureties may surcharge the premium due to the risk associated with an extended duration. Additionally, for warranties/guarantees beyond 12 months, a premium surcharge may apply. We seek to get all our client’s the most competitive rates the industry offers.